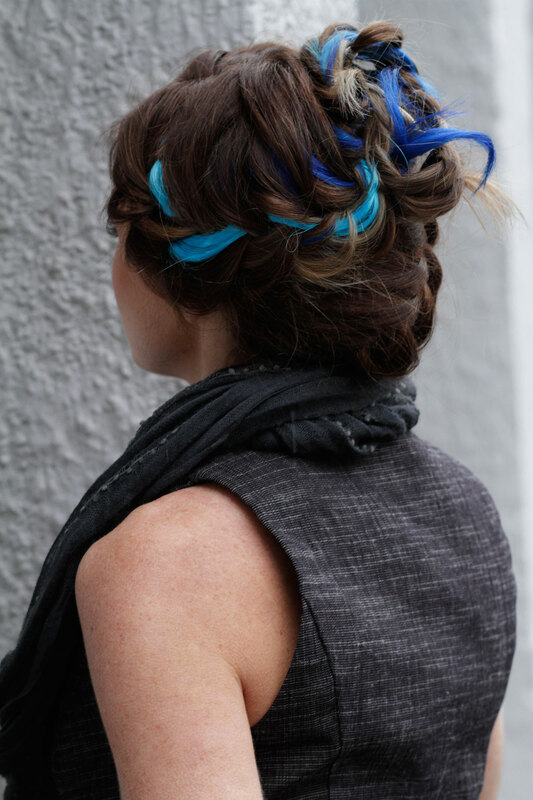 Pops of color throughout your hair can change your look even if its just for the day. Have you ever wanted to have crazy color in your hair but thought that work may not like it? Clip in extensions are for you! They are the perfect way to dress up a braid or have peak a boos coming for the bottom of your hair. The best part is that they unclip and you can put them away until the next wild day hits you. Great Lengths Extensions come in many different colors. Just ask us!